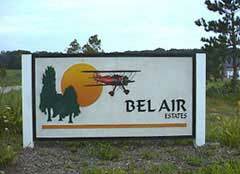 Bel Air Estates is a residential, fly-in community located on 180 acres adjacent to our primary runway. Of the 140 home sites available, 100 have access to the airport via segregated taxiways. 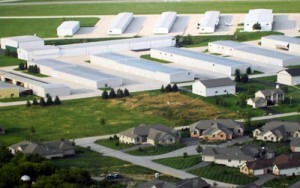 This airport community began in 1994, and was sold out in 4 years. A number of lots are currently available for resale. In addition to the single-family homes, Bel Air Estates is now constructing 2- & 3-bedroom condominiums located adjacent to a 7-acre lake on the airport. Though the condominiums do not have taxiway access, nearby hangar space will be made available to those who purchase a condominium. The ability to customize the floor plan to meet each owner’s individual needs is one of the many unique features of these condominiums.